Are you heading to New York for the holiday season? 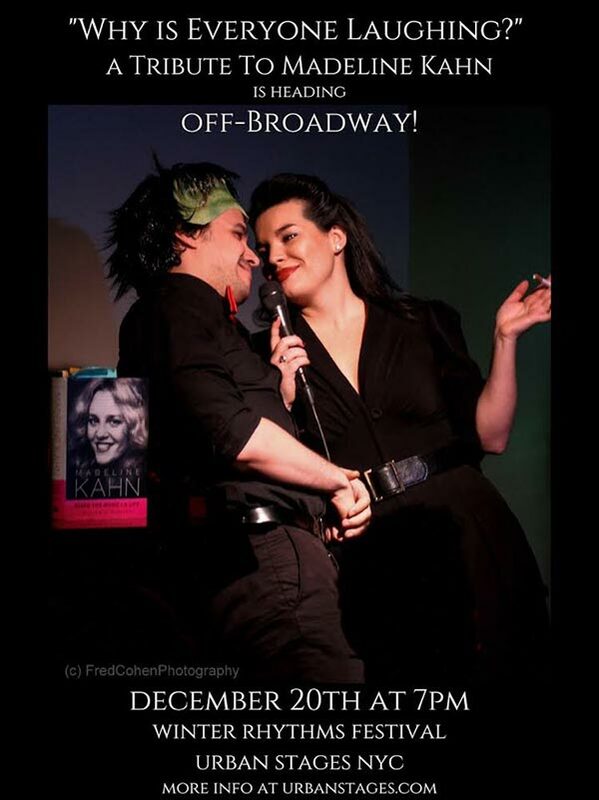 Catch one of our local graduates – off Broadway! We are hoping someday to bring this show to the SJ Community Theater. Hanna Burke, 2007 Friday Harbor High School Graduate, will be performing her hit show for one night only – “Why is Everyone Laughing” – December 20th at 7:00 pm at Urban Stages, New York City. After hit engagements at the Met Room, the Duplex, Don’t Tell Mama, and the Friars Club earned her a MAC Award nomination, Hanna Burke reprises — for the first time in more than a year — her tribute to the Tony-winning, Oscar-nominated actress Madeline Kahn. At Winter Rhythms, Hanna will be joined by music director Jeff Cubeta and guest performers Rachael Joyce, Adrian Rifat, and Will Anderson. Produced by Kahn’s biographer, William V. Madison, in association with Elise Goyette.